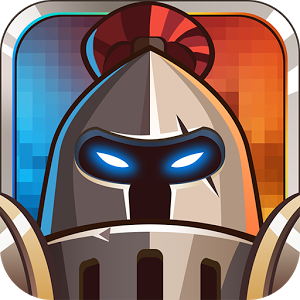 Castle TD is a free app available on Android market. It's been awhile since finding a game that balances gameplay and graphics. The levels are challenging, but not impossible. And the graphics are visually appealing and functional to identifying enemies (simple enough for my Moto X to handle). All in all, I love that this game is very well balanced. The Normal mode is challenging (requiring various combinations of towers to win), but not overly easy. The game is customizable to my personality by allowing me to upgrade the towers I deem most effective. At no point during Normal mode did I feel like I need to pay real money for more upgrades, which for me is a win. But after beating Normal mode, the next difficulty level is Hard. After playing awhile, I under the impression that Hard is impossible to beat without either using real money or farming the maps for crystals (which just takes up time). I got through about half of the Hard mode before realizing I would need to spend a lot of time playing. But by that time, I feel like I played enough of the game have fully enjoyed the free android download. Other map modes include Mission, which disable certain feature of the game (like missing towers), to win. Endless mode allows you to play a map until you lose, and you don't gain crystals on this route. Like most tower defense games, the main goal of Castle TD is to prevent the enemy from reaching the end of the trail. There are many different maps, however they each contain different tower build points, different number of waves, and different enemies. Towers can be built, and then upgraded as you gain wood for each enemy you kill. You then also have the option of summoning spells or warriors with mana, both of which last a set duration of time. When you finish each map, you gain crystals that can be used to upgrade towers, warriors, or spells. If you finish a game with a loss, you get a small amount of crystals. But if you win the map, you get a one-time bonus for that map. Bunker Tower - It fires a fast arrow that hits only one character. It is effective against low armor enemies. Lab Tower - It fires a poisonous dart that continuously deducts enemies life. Fort Level - It fires magic ball of energy, that is effective against heavily armored enemies. Canon Tower - It has a slow fire rate, but does splash damage. Crystals can be used to upgrade the tower's base damage dealt to enemies, or it can be used to upgrade the number of times a tower can be upgraded on each map. Instinct tells me to upgrade the base damage, as these upgrades affect all towers. The tower behavior can also be selected once it passes the 4th upgrade in map. The warrior which can be summoned with mana on each map. They'll fight for you on the each map for a set duration of time. You can summon as many warriors as you have mana. To improve your warriors, they can be upgraded to improve attack damage, magic ability, hit points, amount of time on the map with the use of crystals.